A mainland researcher received the Von Karman Award, one of the most prestigious awards in space science, in Washington, the United States last Friday. 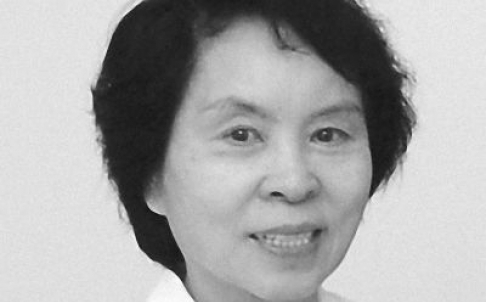 Professor Wu Meirong, former director of the China Resources Satellite Application Centre, was also the first woman to win the top prize awarded by the space community. The annual award was established in 1982 by the International Academy of Astronautics, the world’s largest space research community, to honour the memory of Theodore von Karman, a founding father of human space flight. The academy has mostly given the award to Western scientists as recognition for outstanding lifetime achievement. After Liu Jiyuan, a mainland rocket scientist, became the first winner from China in 2011, few expected another Chinese would win again so soon. Cao Jinbin, space physicist at the Beijing University of Aeronautics and Astronautics, said he was surprised. As one of the most prominent space scientists on the mainland, Wu started her research career in Chinese military. After graduating from the Moscow Power Engineering Institute in the 1950s, she joined the team developing China’s first long-range missiles and made critical improvements on the weapon’s performance, according to state media reports. But most of Wu’s international reputation was won by her efforts to convince Chinese government leaders to open up space facilities and technology for civilian use. She spent more than five years lobbying high-ranking officials in the military and various ministries on the development of civilian satellites for disaster relief and geological surveys in the 1990s. The national satellite application centre that she founded now runs six advanced earth observation satellites providing a large volume of data to research institutes and governments in many countries. Dr Morris Jones, an Australia-based space expert, said the award was highly prestigious and “could be slightly compared to a Nobel Prize for space flight”. More from Professor Meirong: “How Space Activities are impacting Society”.